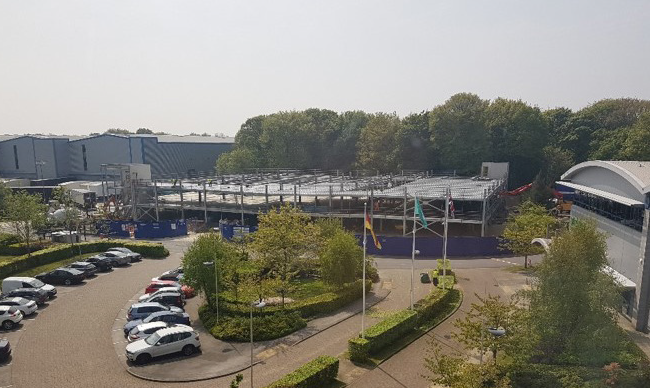 Adept were appointed by B Braun as civil and structural engineers to deliver works including a new multi-storey car park facility, a warehouse extension to the CAPS unit with a new mezzanine office over the existing second floor warehouse. The third planned phase is the delivery of the new innovation centre. Adept acted as civil and structural consulting engineers on behalf of the client to deliver design specification for a new multi-storey car park as well as access road designs. 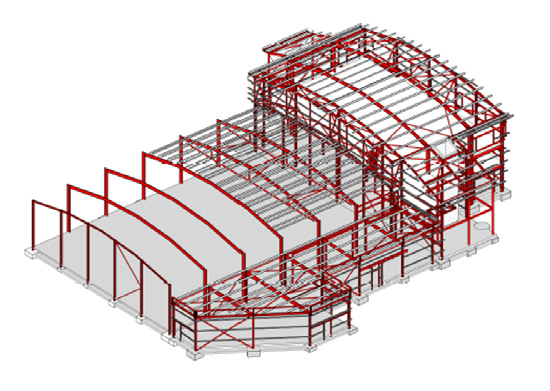 A new CAPS unit (clean room) extension was designed in steel frame to complement the existing warehouse. Strip / pad foundations were used. Propping works to the existing roof were required to remove some existing gable columns. A new mezzanine was built to the second floor existing portal frame building. This reinforced concrete structure provides much needed office space above the existing warehouse facility. BIM models were used for full co-ordination and clash detection. An IFC of the existing building (from the original fabricator), was inserted into our model to help co-ordinate existing / proposed alterations.